Doha, Qatar: Cisco today announced its participation in Qatar Central Bank’s third annual Conference for Information Security in Financial Institutions 2016 (ISFS 2016), to be held on November 1, 2016 at Sheraton Doha. The event will address information security in the critical financial services sector and the challenges it faces, and shed light on the required infrastructure improvements and the role played by cooperation and preemptive moves in electronic protection. Cisco will use this platform to share insights on how cybersecurity concerns do not need to be a hindrance to digital innovation and how retail banks can transform cybersecurity from a liability into an asset that supports customer trust, innovation and growth. Cisco’s recently released research paper titled Roadmap to Digital Value in the Retail Banking Industry, revealed that retail banks have the potential to realize $405.3 billion from 2015 to 2017 as the Digital Value at Stake (VaS). Yet in 2015, financial services as a whole captured just 29 percent of that opportunity. Of the challenges slowing growth and innovation, cybersecurity weakness is certainly at the forefront. Cybersecurity concerns have prevented retail banks from adopting digital technologies and business models which has directly contributed to them missing out on more than 70 percent of the potential revenue opportunity. “Cyberattacks against financial services firms are more frequent, more sophisticated and more widespread than ever before. And there is no slowdown in sight. As financial services firms move towards digitization and adopt new ways of supporting customer interactions, the attack ‘surface’ grows in size. Professional hackers are rapidly adopting new forms of attacks such as spear phishing, ransomware, massive data theft and mobile malware. 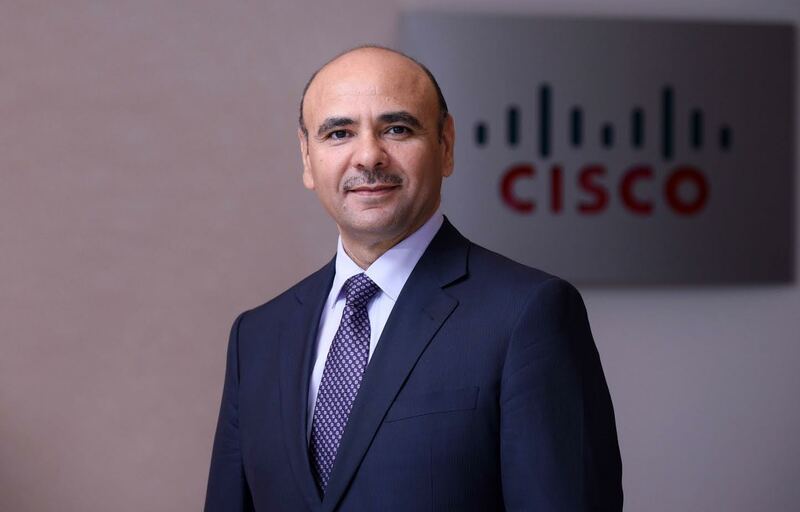 To combat today’s advanced attacks, financial firms need a threat-centric approach to security that provides continuous protection not just before an attack happens but also during and after an attacker or malware penetrates the network,” said Ziad Salameh, Managing Director–West Region, Cisco Middle East. A recent Cisco study, Cybersecurity as a Growth Advantage, surveyed 1,014 senior finance and line-of-business executives globally and found that 71 percent agreed that cybersecurity risks and threats hinder digital innovation in their organizations. Another 39 percent of respondents said they’ve halted mission-critical initiatives due to these concerns. Sixty percent admitted their organizations are reluctant to innovate in areas such as digital products and services because of the perceived risks. Specific digital initiatives delayed potentially include omnichannel capabilities, wealth management and asset transfers, mobile banking and mobile payment capabilities, self-service and virtualized delivery models. Cisco’s economic analysis estimates that by not digitizing more fully, incumbent retail banks missed out on $144 billion globally from 2011 to 2015. Bottom line – cybersecurity concerns do not need to be a hindrance to digital innovation. Retail banks can transform cybersecurity from a liability into an asset that supports customer trust, innovation and growth. All of these digital solutions depend on a robust cybersecurity foundation. At the ISFS 2016, Scott Manson, Cyber Security Leader for Middle East and Turkey at Cisco, will address issues related to digital transformation and how in the pursuit of sustainable differentiation and new sources of growth, enterprises are exposed to increased risks in the cyber domain which require a highly robust and secure network infrastructure that is simple, automated and open. His keynote is titled “Cybersecurity in the Digital Economy” and will be delivered on November 1, 2016 at 4:55 PM.